Q: What is Five Minute Friday? 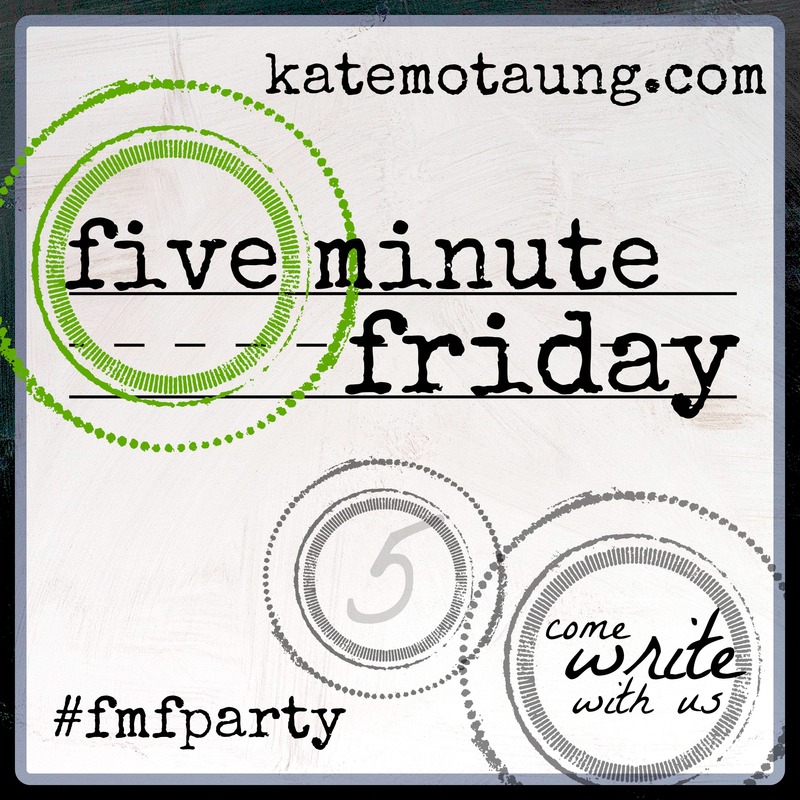 A: It is a 5min free write blog event hosted by Kate Motaung. Every Thursday Kate announces a one-word prompt on her blog at 10pm EST. The link-up is open for a full week, until the following Thursday evening. For further details on how to participate visit her blog at: Heading Home. John the Baptist languishes in prison. He sends some of his followers to Jesus with a question. Are you the coming one, or do we look for another? Why did John the Baptist ask this question? After all he had baptised Jesus. He had witnessed the Holy Spirit in the shape of a dove hovering over his cousin. He had heard the voice of God saying: this is my beloved Son in whom I am well pleased. He had even testified that this same Jesus would baptise with fire and that he (John) was unworthy of even loosening the latch on Christ’s shoes. Adversity happened. Disappointment and disillusionment happened. John was of the impression that this Jesus, the one whom he’d faithfully served, testified about and prepared the way of his coming, the one whom he’d confirmed was the Son of God, should have been doing something about his situation. He felt Jesus should have been making moves to rescue him from prison. After all Jesus must have heard about what had happened to him. After all, this is why Jesus had come to the earth wasn’t it? To deliver the captives. To set them free. So why hasn’t he? Why didn’t he muster his power and spirit him away, out of jail? Or why didn’t he come before Herod, overwhelm him with shame and conviction regarding his sin, use his powers of persuasion and demand his release? Why? Did he not love him? Did he not care? And so as he sits in the darkness of his dungeon, John begins to entertain doubts. John listens to the taunts and lies of the Enemy. John begins to hold a pity-party. And as a result, he sends his followers off to ask a question, which barely veils an accusation. Should we look for another Messiah? Should we look for another Saviour? Should we look for another Deliverer? The question implies that Jesus had been weighed in the balance of John’s expectations and found wanting. The question implies that if Jesus is who he says he is, if Jesus is who John had believed him to be, then here was an opportunity to demonstrate his authority and power, here was an opportunity to show his compassion and mercy. So why hadn’t he? And isn’t that how we are, as children of God, as followers of Christ? Full of faith, solid in conviction—until adversity strikes! Then come the doubts, the questions, the crisis of faith. We sit within the prison of our circumstances, within the confinement of our fears and wonder why God doesn’t rescue us, why Jesus doesn’t zap the situation with his power and make the injustice, the intolerable pain, the ugliness go away. John’s direct question was answered. Jesus provides incontrovertible evidence that he is the one, the expected Messiah. However, Jesus also answered John’s indirect query or accusation. His response delivers a sting in the tail. And blessed is he who is not offended because of me! (exclamation mine). What can you and I learn from this? Our relationship with God does not preclude us from injustice or tribulation and Christ does not answer to our every beck and call. We should not allow offence to develop in our heart when our expectations of God are disappointed. In the face of bewilderment, discouragement or fear, how should we behave? With confidence that God is with us, despite what the devil implies, or our circumstances suggest! And so we have a choice – trust and believe, or question and accuse. Dear readers before I continue, I have to make a confession. Although this post began life as a 5min exercise, it has since been amended and refined! I don’t know why but Maya Angelou’s book, I Know Why the Caged Bird Sings, came to mind, as soon as I saw this week’s prompt. In the context of this blog’s purpose (which is to encourage women and to motivate us to walk as victorious overcomers), I see Christian woman who are habitually defeated or depressed, as akin to caged birds. Most birds have the potential to sing joyously with abandon, to soar, to explore and enjoy their freedom but caged birds, in effect, have had their wings clipped. Continuing with the above analogy, the cage (representing limiting beliefs, negative behaviour and Satan’s lies), both confines and defines. Now of course the caged bird can sing but is its song true? Does it sing with the same harmony and sweetness as its counterparts that enjoy liberty? Women of God, it is our choice whether any negative circumstance in which we may find ourselves, serves to imprison us. It is our responsibility to ensure that our Bible-based confession, or our testimony of faith becomes the spiritual song God hears, thus enabling him to liberate us. So, let me ask you dear Women of Warfare, how do you sing? As a caged bird, or as a potential bird of paradise… a beautiful bird of liberty? A: It is a 5min free write blog event hosted by Kate Motaung. Every Thursday Kate announces a one word prompt on her blog at 10pm EST. The link-up is open for a full week, until the following Thursday evening. For further details on how to participate visit her blog at: Heading Home. It’s sad really. Diabolical in fact! The way some people want to control you. Control your behaviour. Control your clothing and the way you dress. Control how you treat others. Control your destiny. And do they want to control you for your own good? No siree! They want to control you for their ulterior motives. Are they seeking to control you because they love you and have your best interests at heart? No way! They care only about themselves. Habitual manipulators seek to control you for many reasons. Because they want you to fear them. Because they wish to alienate you. Because they secretly, or openly despise you. Because they seek to hurt you. Because they have such a low self-esteem that the only way they can feel good about themselves, or assert themselves, is to undermine you, to control you. And so they do, or think they do. But they have left one important factor out of the equation. One very BIG factor. God. God Almighty! The one who created heaven and earth. The one who crafted mankind and breathed life into their souls. They have forgotten that it is God’s breath in their nostrils. God, who upholds this world with the word of his power. This God, this God of gods, is the one in ultimate control. Now, isn’t it ironic that the one who actually has supreme power, control of all that happens both in heaven and on earth, is not so precious about it? Isn’t it staggering to realise that Jesus, equal member of the triune Godhead, decided he was not going to cling to control, to the authority, majesty and power he once held in heaven, in order that he might come down to earth, identify with the sin and frailties of humankind and lay down his glorious, sinless life, so that whosoever wills, may grasp the opportunity to become born-again in a new kingdom, with a new status, subject to new rules? How many despots do you know or have heard of, who willingly relinquish power? How many dictators do you know, who graciously abdicate their place on the coveted seat of authority and power? And why is it that if you do not agree with said dictator’s views then bombs, or the threat of decapitation, or torture, is their only response? Terrorism, not love, is their byword, their fear-inducing catchphrase. Every day we hear, read about and see, heart-breaking scenarios of man’s beastly attempt to control others, almost as a matter of course. It is not uncommon to discover living amongst us in our nation, within our neighbourhoods, or even in our own families, a victim of a wife/husband beater, a survivor of human rights atrocities, or a reviled asylum seeker. These people are subject to perpetual ill-treatment, to constant violation. Many are helpless prey, caught in the snare of Satan’s demonic control. I’m positive that practically every single one of us reading this post would strenuously condemn the attitudes and actions of abusers, bigots, despots or terrorists. And yet…. Yet, I wonder whether we are sometimes guilty of similar sins (albeit on a lower level). Do we use our influence in a way that seeks to control or marginalise others—at work, at church, at home? Do we boycott those we don’t like or disagree with? Do we draw others into our circles of reproach? Do we woo family and friends to critique parties and gossip sessions and send folks to Coventry, in order to hammer home our message?—obey, or you’ll pay! If I’m honest, it’s easy to nit-pick, or magnify the faults and failings of others, particularly those who have offended me, or blackballed me in some way, or who don’t live according to my standards—and not realise that whilst condemning, criticising or judging others, those same imperfections which I self-righteously seek to highlight, exist in some measure in my own life. As Jesus so humorously put it, dare we pass judgment on, or seek to address the misdeeds of others when there is a massive log in our eye, blinding us to our own faults? You, therefore, who teach another, do you not teach yourself? (Romans 2:21 NKJV). His question certainly provides food for thought—and perhaps occasion for examining our own lives—don’t you think? Women of Warfare followers and visitors, in our bid to influence, let us be wary of creating cliques and clubs, rather than communities. Let’s be careful not to marginalise or control others. And above all, let’s share what we have to say, or feel we need to say, in a spirit of true humility. Have a blessed and victorious week! PS: The linkup for this prompt has now closed. Three distinct personalities. Three different beings. To my right is Jesus—Lord of lords, Kings of kings, Prince of Peace. In the middle is me—redeemed child of God. And to the left, is him—accuser of the brethren. Deceiver. Thief. Father of Lies. The Evil One. Either side of me, each personality vies for my attention. Each being seeks to influence my thoughts, govern my actions. One lovingly seeks to do so for my ultimate benefit and welfare. The other maliciously intends to steal my confidence, to kill my dreams, to destroy me. Who wins? The one to whom I accede control. The one to whom I submit. But unfortunately, that wouldn’t be the unvarnished truth. I have to admit that there are times, when I want to govern. There are times when I question the Word and therefore I am questioning Jesus, since he is the Word made flesh. And there are times when what I want is more appealing to my ego, or my sense of comfort, or my understanding, than what Christ demands. And so there is a tussle. There’s a spiritual wrestling between my soul (mind, will, emotions) and spirit, between my intellect or sense-knowledge, and the logic-busting, God-type of faith. And what of the other side—Mr Diablo, Mr Evil personified? How does he fit into this scenario? Well Satan, the devil, my enemy and God’s arch-enemy, hates me. So he seeks to muddy the waters. He schemes to undermine my faith. He challenges and sabotages my beliefs, which were based upon the unchanging promises of God’s Word. His subtle questioning (Did God say. . . ? ), his sowing of sneering doubts, (Well, God may produce miracles for Bible saints, or significant men of faith but what makes you think He’ll do it for you? ), assault my mind daily, hourly, even at times moment by moment, until I begin to waver, until I, at times, agree with him and re-examine my thinking, my hopes, my expectations. Dear reader, after years of suffering from this spiritual tug of war, I reluctantly report that sometimes it is Jesus and sometimes it is Satan. But what about you? (I hear you ask). What about me? (I playfully respond). Dear reader, I may well be caught in the middle but the truth is, there are only two master influences, two spiritual forces, at work in this world. The first and foremost is Jesus: the Son of God, the Living Word, the one who “upholds all things by the word of his power” (Hebrews 1:3). The second (a significantly inferior power), is Satan: the one whom Jesus saw fall from heaven, the one whom Jesus conquered, the one whom Jesus disarmed when he arose from the dead in resurrection triumph and, stripping Mr Diablo and his evil principalities of their powers, made a public spectacle of them all! (See Colossians 2:15). Even should I be deceived into thinking that I’m exercising my own will, governing my own life, the fact of the matter is, that in reality I am not! Either Jesus is, or Satan is (there is no middle ground)—and that goes for every single being upon this planet. When I submit my thoughts, attitudes and actions in obedience to God’s Word then Jesus reigns. He is Lord of my life. But when I agree with the lies and suggestions of the enemy, which are contrary to the Truth, when I selfishly decide I want to do my own thing, then guess what? I come into agreement with the devil and I’m allowing him to manipulate my life, whether I’m aware of this or not, whether you believe it or not. And if you don’t believe dear reader – think Adam and Eve. Think serpent. Think subtle deception. Think satanic manipulation, provoking self-willed disobedience. Think transfer of allegiance. Think paradise lost! (Although I’ve missed the link-up for this prompt I’ve decided to post anyway). A word that conjures a picture of unity and togetherness. Everyone on the same side pulling together! That’s the ideal. I’ve been part of a team – such as a netball team, such as an editorial team. These teams more or less lived up to that ideal. We all worked together for a common goal—whether that was to beat the opposing side, or to produce a great magazine issue. I’ve also been part of a team that did not live up to this ideal. Where members back-stabbed and undermined and sought glory for themselves in order to shine, in order to get on and move up. Unpleasant! What (I wonder), would it be like to work in a team such as the one the Holy Trinity are part of (Father, Son and Holy Ghost)? Each member celebrating the other, co-operating with each other, consulting and agreeing with one another on momentous decisions: “Let us make man in our own image”. What would it be like to be equal in power, in ability and authority, and yet submit graciously to the other team members? What must it feel like to allow the separate members to shine… to do what they are tasked with—without getting in the way, without questioning, without plotting to grab the glory? Oh the unimaginable bliss of complete and utter unity! Holy Godhead, how I envy you! How marvellous it must be to work in such an atmosphere of total unity and respect. 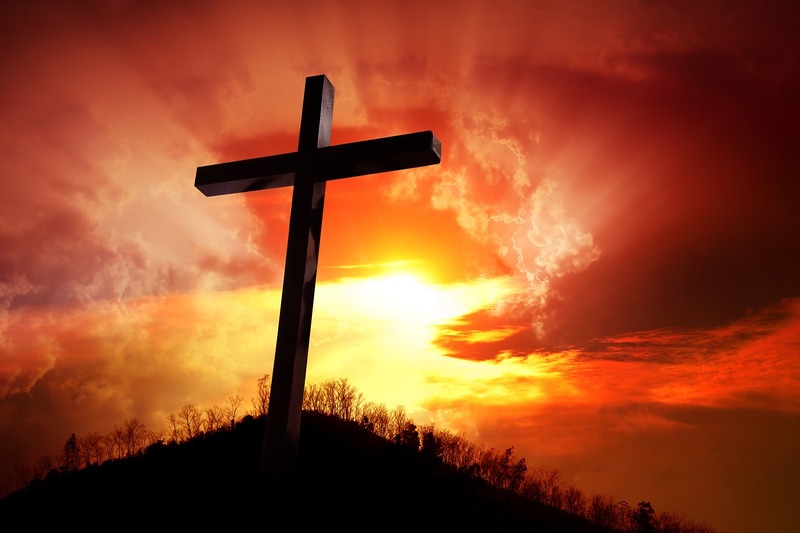 Father God, sweet Jesus, divine Holy Spirit – you are the true Olympians! Question: Do you have any memorable team experiences you would like to share (good or bad)? The above declaration implies that the writer has made a decision to change his focus. How many times have you felt despondent… felt bereft of hope because life stood up and slapped you in the face instead of gracing you with the smile and gifts of fortune and favour? And how many times have you dwelt on your circumstances and decided that life is hard and unfair? I recently felt this way. I’d taken a blogging break and had planned to use the time to work on a long-standing project. My mother’s health suddenly deteriorated to the extent that she was eventually hospitalised and, following discharge, needed full-time care. I decided to take a break from work in order to provide that care. Daily hospital visits, stress, weariness and the further demands upon my time meant my project was once again consigned to the back burner. The little scrap of time left to me late in the evenings meant I only wanted to eat and relax before going to bed (here read watch TV, or check and despair over my dismal blog stats!). Added to this, I felt completely overwhelmed by the extra responsibility and was also concerned that I might not be patient enough, mentally or physically strong enough to follow through with this commitment. My eyes were on my circumstances, on the enormity of my problems and not upon the greatness of my God. It’s easy to do right? 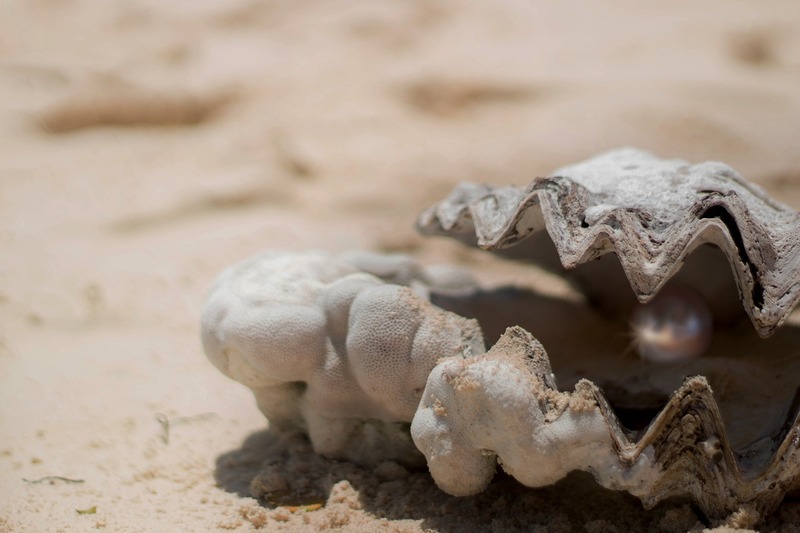 To preach it and write or blog about it, but when it comes to the crunch, forget God’s commands and promises and fail to walk in his peace and strength. And before you know it, all the prayers and meditation and bold confessions, all the effort you’ve put in to familiarise yourself with God’s Word and endeavour to submit to his perfect will, have retreated from your consciousness and disappeared from your vocabulary. “Hath God said…” whispers Satan within your mind and before you can say: “Get behind me!” you have fallen victim to overwhelming doubts, fear and even unbelief. Dear reader, if these words speak to you where you are at right now, please join with me by lifting your heart and the eyes of your understanding and refocus them upon Jesus, who is the author and finisher of our faith. Please join with me by discarding your constrictive cloak of heaviness and don your glorious garment of praise and thanksgiving. Let’s wholeheartedly lift our eyes to our Father God in Heaven (who graciously loves, protects and provides for us) and let’s declare our trust, faith and confidence in Him without reservation. WoW! followers and visitors may you experience the peace of God that transcends human understanding throughout the coming weeks and may you rest in his comfort and abide in his presence. I think of those words and I think about how God wants us to be in the Body of Christ. I think about how in some ways we are far from this ideal. Yeah, there may be pockets of lovey-dovey-ness in certain exclusive circles of different fellowships but, whilst they share a certain unity based on their values of acceptance, there are others who are excluded. Then when you look outside of the local fellowship to the Body of Christ, nationwide and worldwide, how united are we really? And so it gets done. The three persons of the Godhead unite their will, pool their resources and muster their abilities for a common aim. There is agreement. Result? The creation of man! The bringing into being of a spirit-person who can commune with God… who can relate to and fellowship with Him… who can use his or her unique position within the creative order to maintain the family, the community and the world they’ve been placed in… who can use their gifts, skills and abilities to co-labour with, and serve their Creator. Now look at the word “UNITE”. The letter “I” sits in the middle, not leading the way, not lagging behind. Many of us will be familiar with the motivational maxim: “there is no “I” in team!” The message of this saying implies: forget yourself—for the good of the team, for the fulfilment of your team’s objectives. In other words, I do not exist, or I have been obliterated! However, the word UNITE acknowledges there is an “I”. The word does not deny my existence. It accepts me. It embraces me. It incorporates me. It combines me into a new being. But note the word, the prefix, which comes before this “I”. It is “UN”. To “un” is to denote the opposite, to reverse a process or state. So whilst UNITE does not ignore the existence of “I”, it does call upon I, me, myself, to “un-I”, “un-me”, “un-myself”. It requires me to recognise that I do not, yeah cannot, stand alone or act without having an impact on others around me. It requires me to take full responsibility for my actions which will either UNITE others, or cause DISUNITY. It requires me to clothe myself with Christ and by this action… this un-“I”-ing of me, denote the opposite of me—the spiritual, the supernatural, rather than the carnal. Again, by this action, this un-“I”-ing of me, I reverse the state of self-absorption, allowing the process of becoming Christ-centred and Christ-like. Well, the new “I” (the Christ-centred, Christ-clothed I), is a better being. I come in line with the three members of the Godhead. My thoughts, desires and objectives come into agreement with theirs. We (the Godhead and I), share a common purpose and belief. I am now infused with the love, authority and power of a loving God, a triumphant Saviour and a dynamic Spirit. I now want to share that love, exercise that authority and make opportunities for the Holy Spirit to demonstrate God’s power though me, in the way that He dictates. And when there is a conjoining of lots of “I”s (i.e. me, you, every member of the Body of Christ—all with the same sanctified mind-set, all moving together as one organic being), we arrive at agreement, we achieve UNITY. And the beauty of this Holy Spirit-engendered mind-set, this Godhead-engineered unity, is that there are no footholds, which the Enemy can use to inveigle his way into our lives… into our communities… into our world… in order to undermine our efforts to unite as spirit-filled believers, in order to discredit and or disrupt the unity of the Body of Christ, in order to sabotage our lives and our world with deadly discord and disunity. Dear reader, I have said all of the above to challenge me, myself, and I. I have said all of the above to challenge you! For the sake of God’s perfect Will, for the sake of coming into agreement with the Holy Godhead, for the sake of us as members of the precious Body of Christ presenting a UNITED front, are you willing to un-“I” yourself? Women of Warfare! followers and visitors, I pray God will unite our hearts with his perfect, pre-ordained Will for our lives and, that as a result, we will pursue and portray true unity.